Height 32 in. (81 cm), bloom 4.5 in. 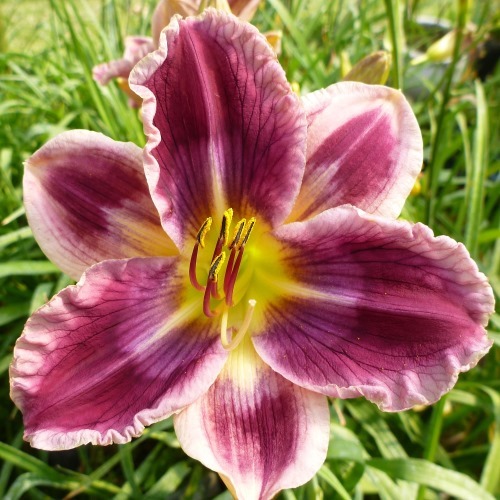 (11 cm), season M, Rebloom, Semi-Evergreen, Diploid, Bright plum with a pale lavender purple eye and a pale lavender edging on both the petals and sepals, triangular green throat.